The Broward Center for the Performing Arts and Slow Burn Theatre Company present Peter and the Starcatcher Thursday, November 9 – Sunday, November 26. From marauding pirates and jungle tyrants to unwilling comrades and unlikely heroes, the show playfully explores the depths of greed and despair… and the bonds of friendship, duty and love. Winner of five Tony Awards, Peter and the Starcatcher is a wildly theatrical adaptation of Dave Barry and Ridley Pearson’s best-selling novels that upend the century-old story of how a sad orphan comes to be The Boy Who Would Not Grow Up (a.k.a. Peter Pan). Jordan Armstrong in the title role and Clay Cartland as the pirate Black Stache lead a cast that includes Robert Fritz, Johnbarry Green, Cameron Jordan, Matthew Korinko, Noah Levin, Joseph Pino, Ben Sandomir, Krystal Millie Valdes and Corey Vega. Slow Burn Artistic Director Patrick Fitzwater heads a creative team featuring Music Director Anthony Campisi, Scenic Designer Michael McClain, Costume Designer Rick Pena and Lighting Designer Jose Santiago. Performances are held in the Abdo New River Room at the Broward Center where, starting one hour prior to the performance and during intermission, sumptuous sandwiches, salads, snacks and desserts are available for purchase with convenient walk-up service. A full cash bar is also available. The comedy then moves to the Aventura Arts & Cultural Center for performances Thursday, November 30 – Sunday, December 3. 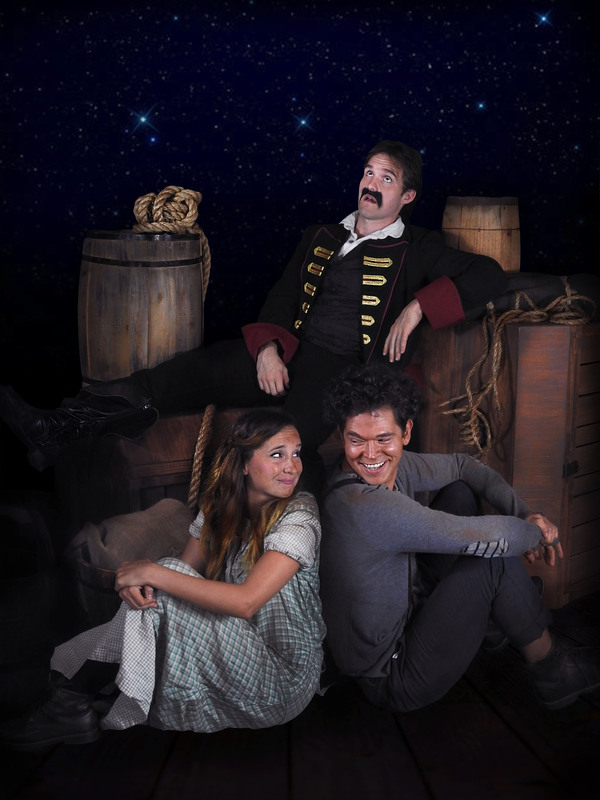 The Broward Center for the Performing Arts and Slow Burn Theatre Company present Peter and the Starcatcher Thursday, November 9–Sunday, November 26 in the Abdo New River Room. From marauding pirates and jungle tyrants to unwilling comrades and unlikely heroes, Peter and the Starcatcher is a wildly theatrical upending of the story of how a miserable orphan comes to be Peter Pan. Performance times vary. Tickets are $45. Ticketmaster is the only official ticketing service of the Broward Center, Parker Playhouse and affiliated venues. Performances times vary. Performances in the first week are Thursday-Friday at 7:30 p.m.; Saturday at 2 p.m. and 7:30 p.m.; and Sunday at 2 p.m. The second week of performances are Thursday-Friday at 7:30 p.m.; Saturday at 2 p.m. and 7:30 p.m.; and Sunday at 1 p.m. In its final week at the Broward Center, performances are Friday at 7:30 p.m.; Saturday at 2 and 7:30 p.m.; and Sunday at 1 and 6 p.m. Buy tickets online at BrowardCenter.org or Ticketmaster.com; by phone at 954-462-0222 or the Broward Center’s AutoNation Box Office. The Broward Center for the Performing Arts is located in the Riverwalk Arts & Entertainment District at 201 SW Fifth Avenue in Fort Lauderdale.